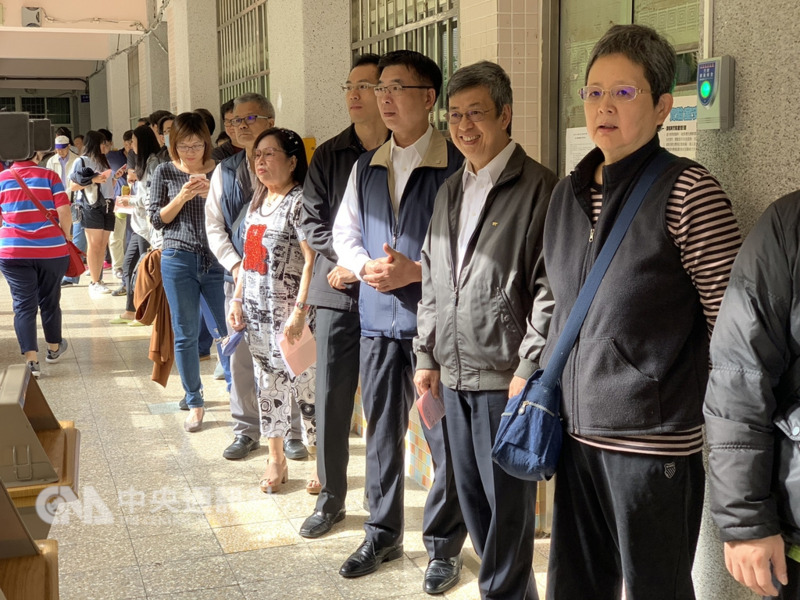 Taiwanese lined up at polling stations throughout the country to elect local government chiefs in nine categories on Nov. 24 from 8 a.m. to 4 p.m. Voters were also casting ballots in 10 referendums held alongside the elections. 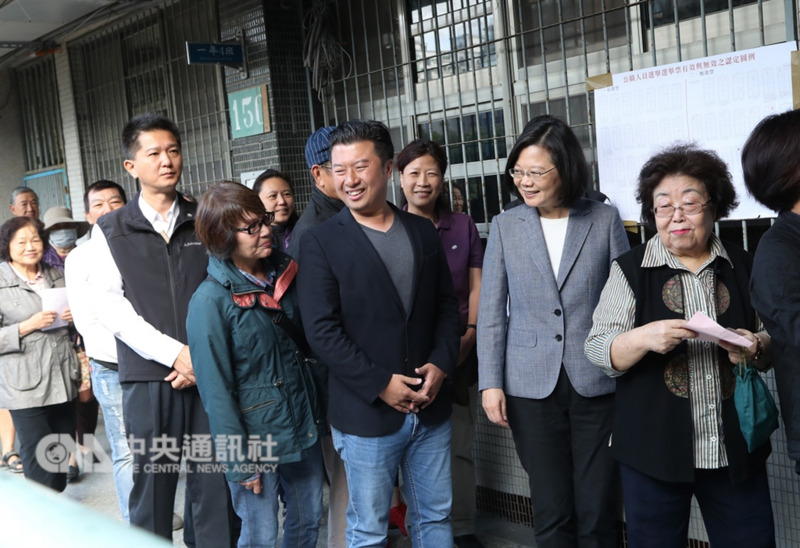 President Tsai Ing-wen (蔡英文, second right) chats with other people in line at a polling station in Yonghe District, New Taipei. Tsai said the referendums are a display of Taiwan’s democracy the people’s right to express their opinions. Vice President Chen Chien-jen (陳建仁, second right) smiles as he lines up to cast his ballot at a polling station in Taipei's Zhongzheng District. 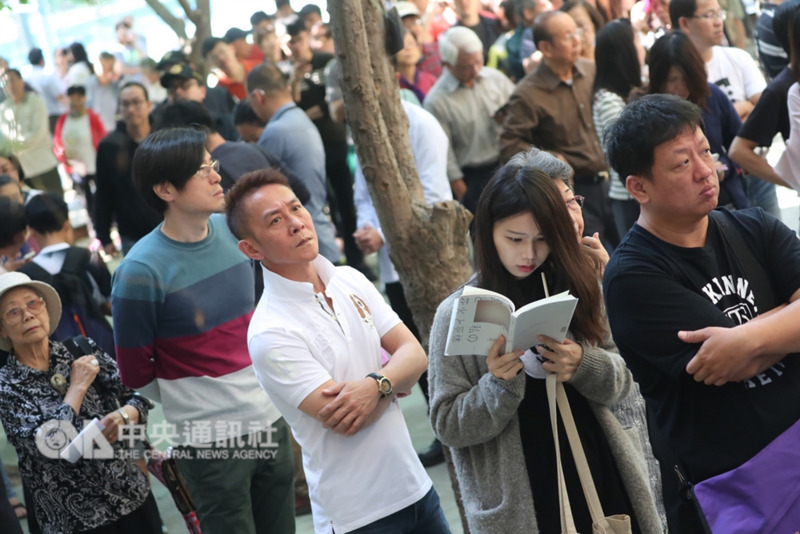 Voter turnout appeared to be high, as long lines were seen at many polling stations in sunny weather throughout the day. 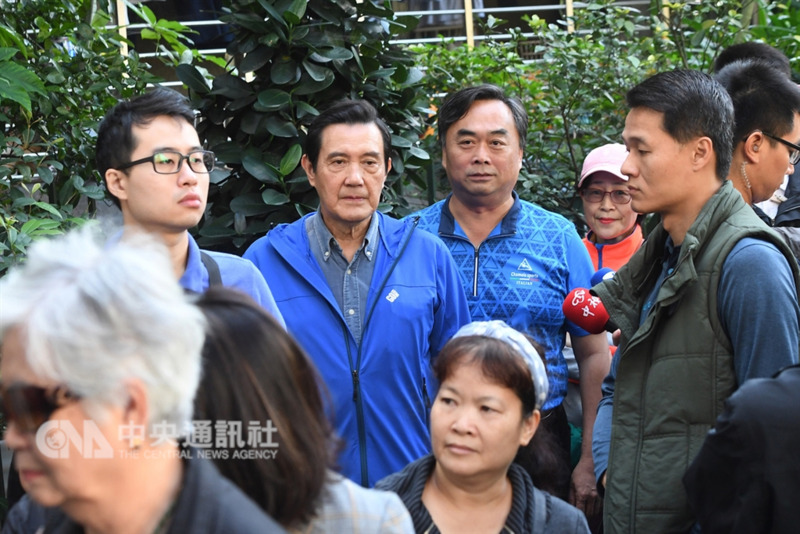 Former President Ma Ying-jeou (馬英九, back, second left) stands in line at a polling station in Taipei's Wenshan District. A total of 11,047 public offices are up for grabs, with 20,863 candidates vying for those seats, according to the Central Election Commission (CEC). Premier Lai Ching-te (賴清德) drops his ballot in the box at a polling station in Tainan. The major races are the mayoral elections in the six special municipalities of Taipei, New Taipei, Taichung, Tainan, Kaohsiung and Taoyuan. 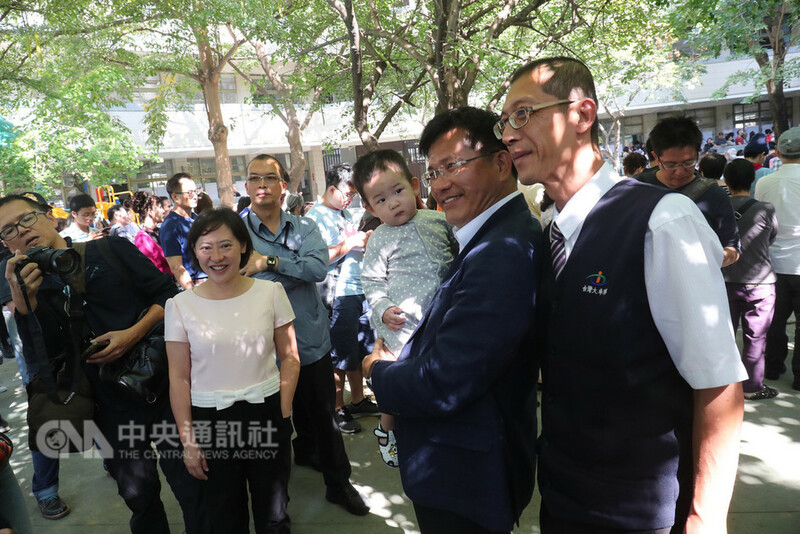 Incumbent Taichung Mayor Lin Chia-lung (林佳龍, second right) of the Democratic Progressive Party (DPP), who is seeking reelection, holds a baby at a polling station in Taichung's Nantun District. Polls throughout the country closed at around 4 p.m.
Chen Chi-mai (陳其邁), the DPP mayoral candidate in Kaohsiung Chen Chi-mai (陳其邁) holds a ballot at a polling station in the city's Zuoying District. 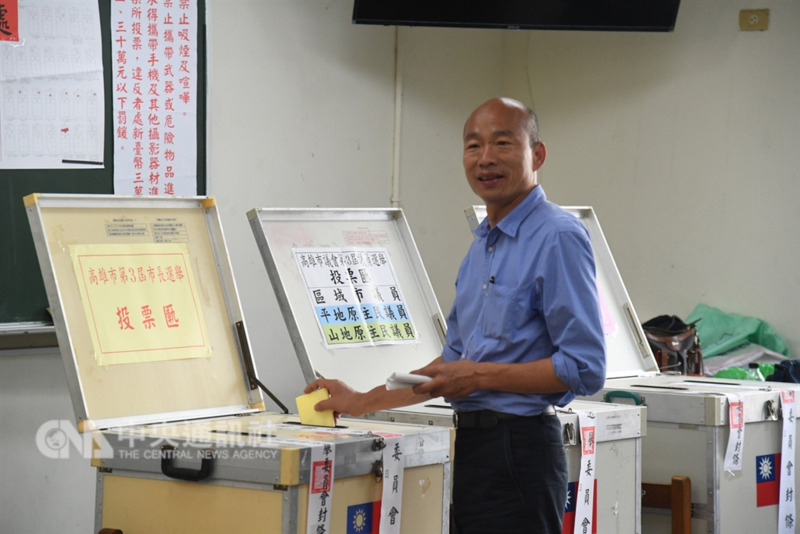 The results of the mayoral elections in Taiwan's six special municipalities are expected by 8 p.m., four hours after the polls close, according to the CEC. 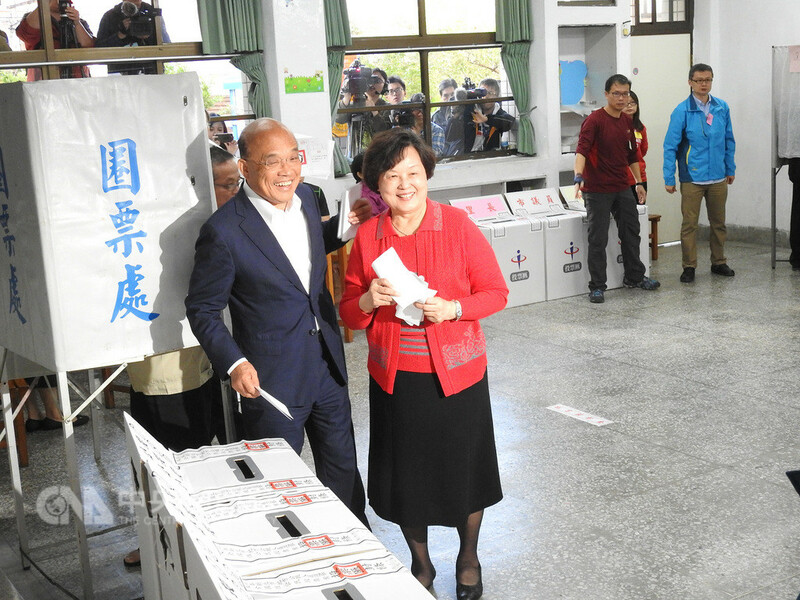 Former Premier Su Tseng-chang (蘇貞昌, left), the DPP candidate in the New Taipei mayoral race, prepares to cast his ballot at a polling station in the city's Shulin District. 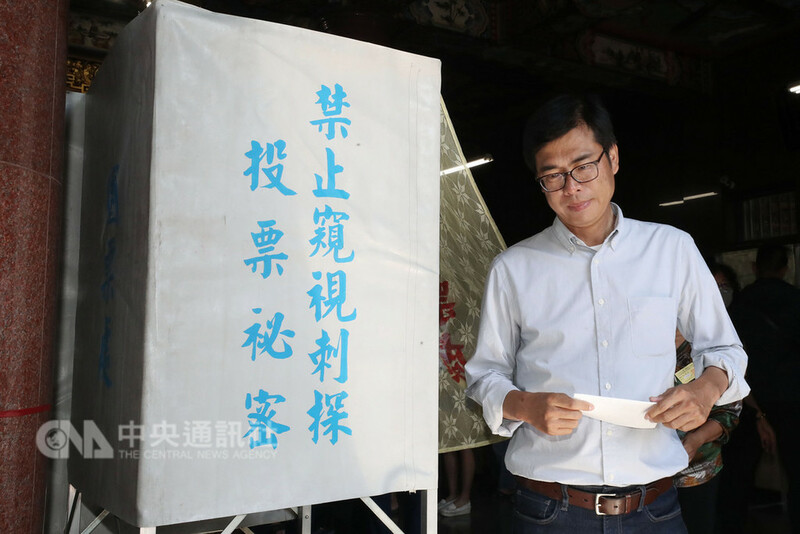 Han Kuo-yu (韓國瑜), the Kuomintang candidate in the Kaohsiung mayoral election, drops his ballot in the box at a polling station in the city's Linyuan District.